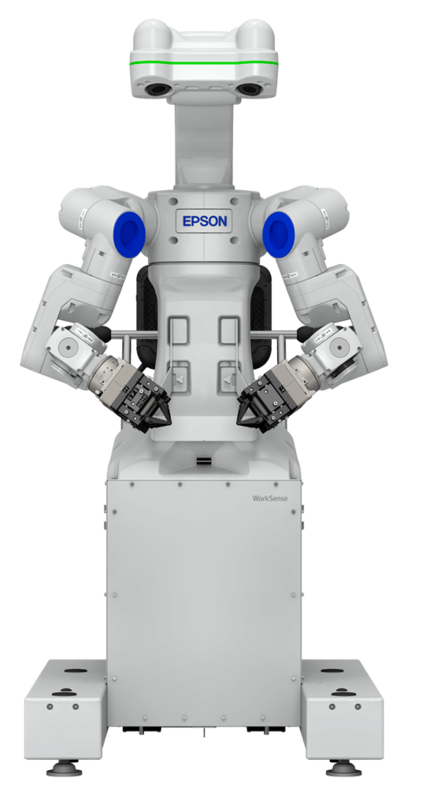 WorkSense W-01: the new intelligent dual arm robot from Epson for complex tasks that involve precise dual-arm manipulation. 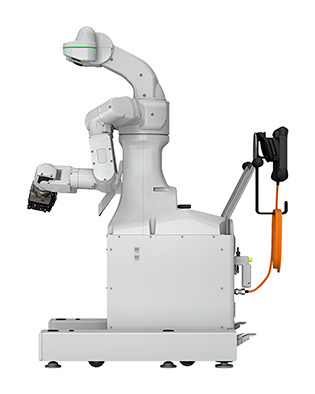 Take advantage of a next-generation robot that is easy to set up, adapts quickly to new environments and can use the same tools as human worker. With it you'll be able to build a flexible, scalable, and fast-reacting production line. This dual arm robot can carry out varying tasks almost autonomously using its arm geometry, that is based on human physiology, and wide-ranging integral sensors such as cameras, force sensors and acceleration meters. Even tasks which to date have been difficult to automate can now be performed by a robot. 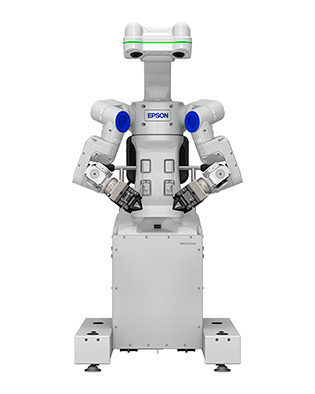 Its 3D image detection system and visual servo, with four permanent cameras, enables the Epson dual arm robot to see the position of parts in space - even if the position changes during the process. No calibration is required. Its kinetic sensors on the arms enable it to apply precisely the right grip to objects. More independence and flexibility: the Epson dual arm robot is so mobile that you can transport it to a new location easily. 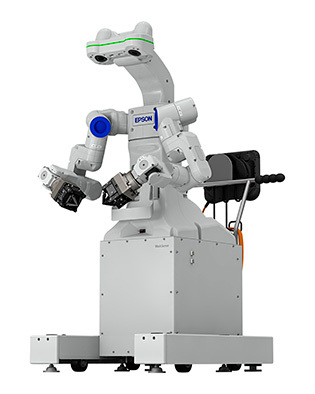 Its multifunctional, skilful grab hands enable the Epson dual arm robot to use standard tools such as automatic screwdrivers. Programming has never been this easy: simply specify the objectives and the Epson dual arm robot will create its own trajectories and actions on this basis.